Two games, one for the PSP, one for the PlayStation 3, helped kick Mario's latest game from its perch at the top of Japan's bestselling games chart. Who's responsible for Super Mario Collection for the Wii settling for third? 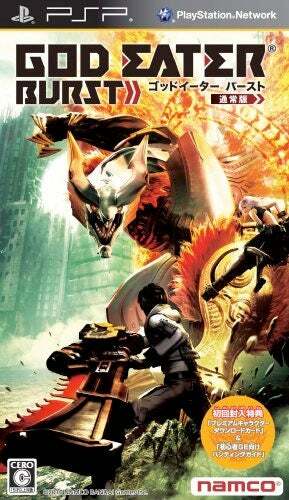 Namco's God Eater Burst, follow up to the Monster Hunter like action adventure released earlier this year, was Japan's bestselling game this week. The PSP release moved more than a quarter million copies week one, forcing World Soccer Winning Eleven 2011 for the PS3 to claim a second place spot. Super Mario Collection still managed to move more than 100,000 copies this week overseas, well on its way to being another Nintendo million seller in Japan. Kirby's Epic Yarn? Maybe not so much. Plenty of new releases joined God Eater Burst in the top ten, including the new Golden Sun, Fable III and Solatorobo: Sore kara Coda e. To see all the numbers and learn which of the latest dating sims and hostess adventure visual adventure games Japan loved best, read on, sales fanatics!